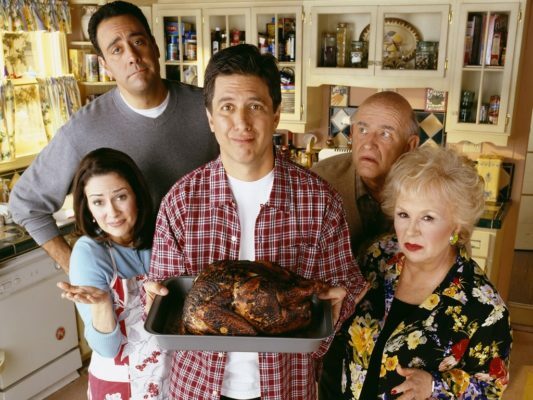 Could Everybody Loves Raymond be coming back? Recently, creator Phil Rosenthal spoke with CinemaBlend about the possibility of a reboot for the CBS TV show. A family sitcom, Everybody Loves Raymond starred Ray Romano, Doris Roberts, Patricia Heaton, Brad Garrett, Peter Boyle, Madylin Sweeten, Sawyer Sweeten, Sullivan Sweeten, Monica Horan, Jon Manfrellotti, and Andy Kindler. The series ran on CBS for nine seasons before ending in 2005. What do you think? Are you a fan of Everybody Loves Raymond? Would you watch a reunion special? Oh yes, please do a reunion show. I watch the reruns every night. It’s still one of the best shows on television. Yes do a reunion special! !I would love to see Ray and Debra again. I watch the reruns every night. Best show ever.